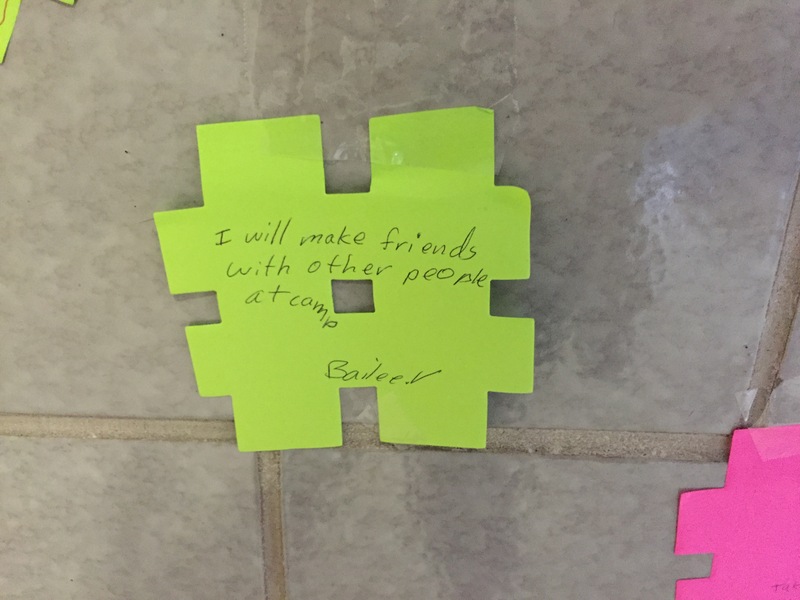 On a trip to the dollar store, I stumbled across bright, neon hashtag post-its. 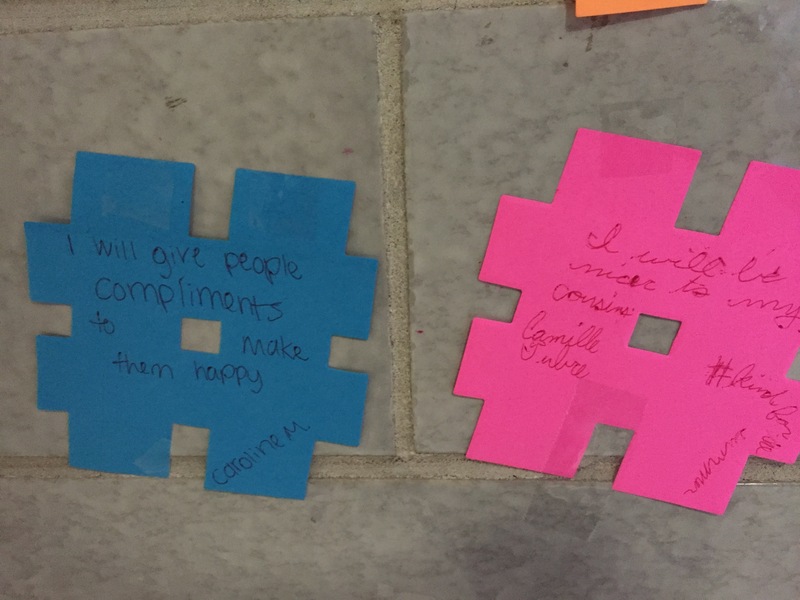 I didn’t know what I was going to do with them at the time, but I scooped them up, hoping that I would become inspired. 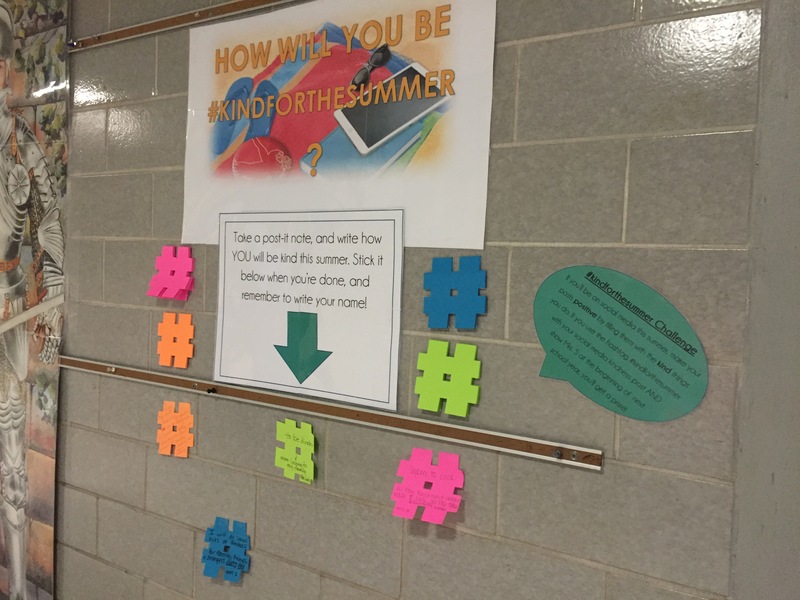 I also added a social media component, encouraging the students who are on social media to make their posts positive this summer. 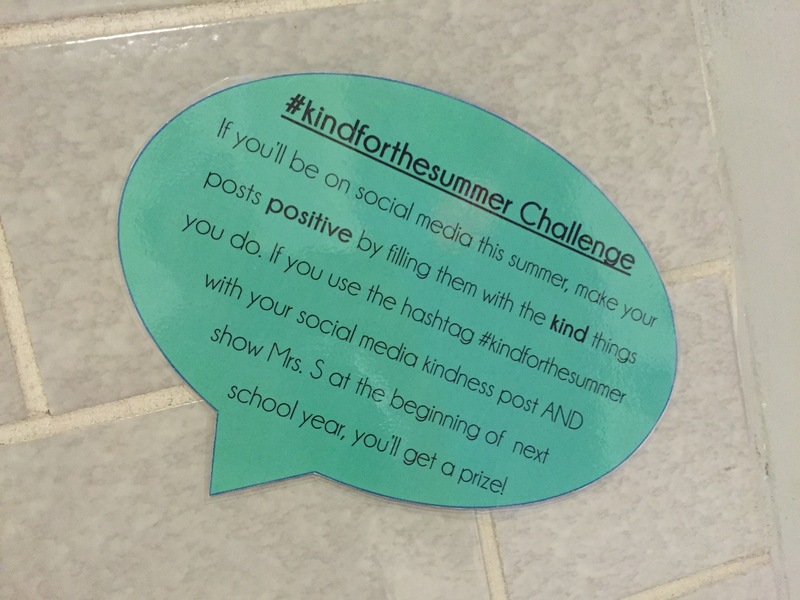 At the beginning of next school year they have an opportunity to show me that they have posted an act of kindness on social media with the hashtag #kindforthesummer in exchange for a small prize. 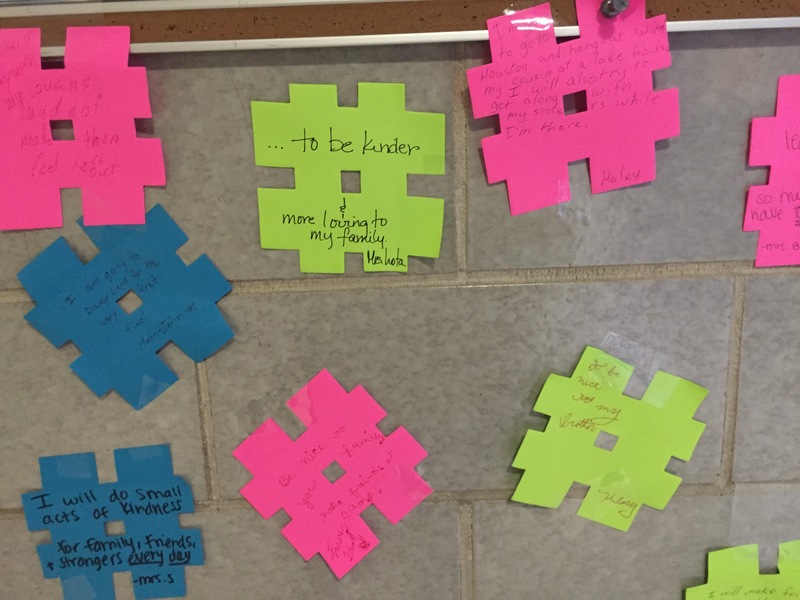 The students really got into this, and by the end of the first day the bulletin board was up, I already had most of the wall covered in responses! 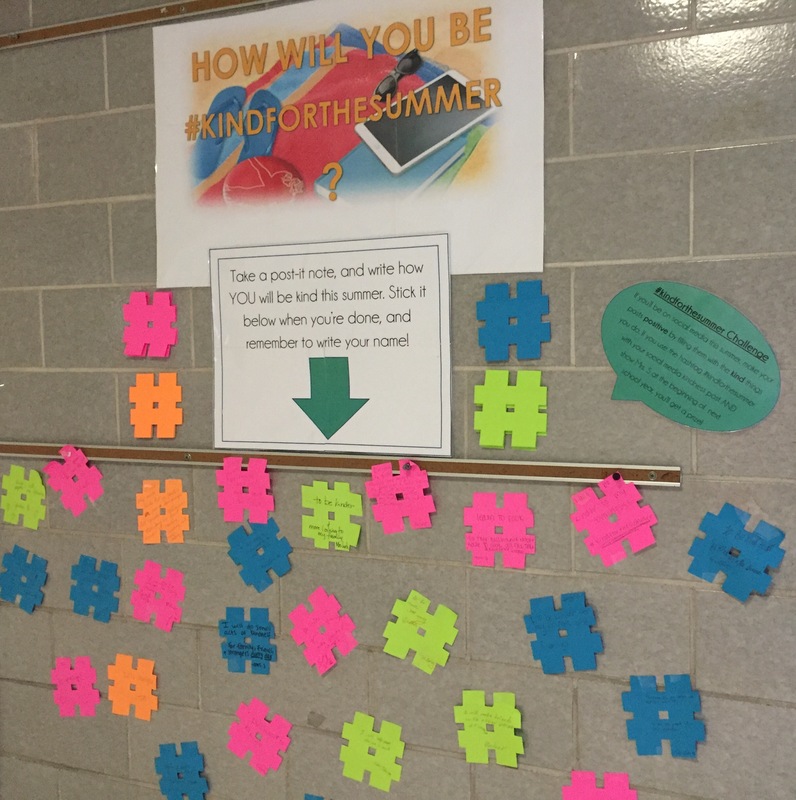 I thought this bulletin board post was extra appropriate because today begins my first official week of summer break! Woo! 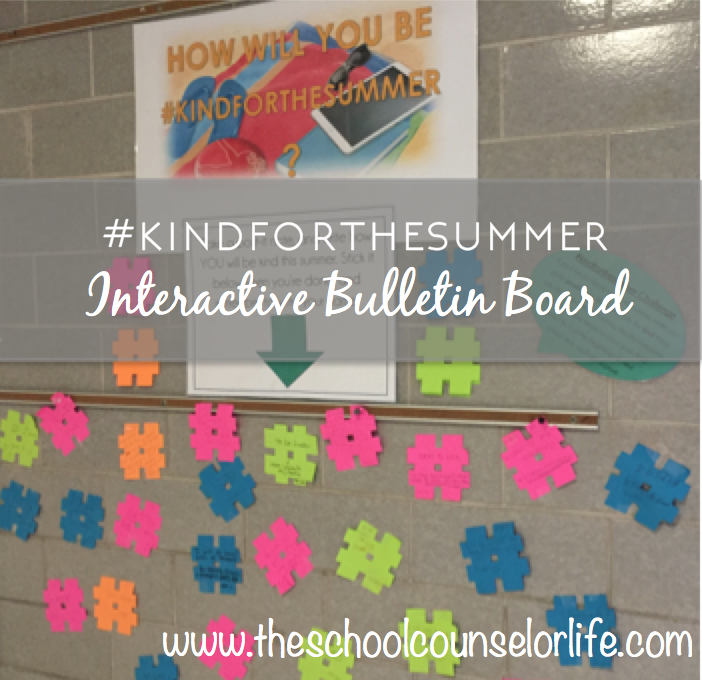 Don’t worry, I’ll still be blogging throughout the summer with ideas for next school year. 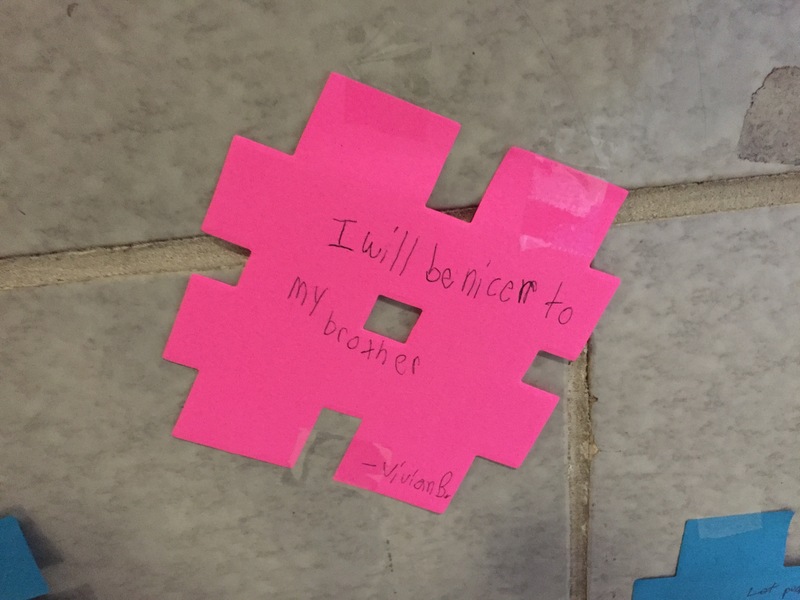 Enjoy your well-deserved break, school counselors!